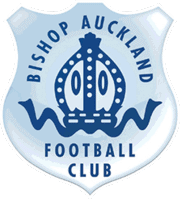 Bishop Auckland Football Club offers a range of opportunities that can help promote and generate interest in your business from as little as £50 plus VAT. We have a number of tiered sponsorship packages that provide varying degrees promotional opportunities that create and build brand awareness, advertise products and services, build sales all of which can be tailored specifically to meet your business needs and budgets. 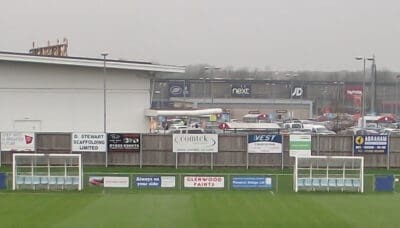 From perimeter signage, programme and other matchday advertising benefits to sponsorship and wider club partnership opportunities, sponsors form an integral part of the team and we are continually developing our sponsorship deals to create sustainable and mutually beneficial relationships with businesses and organisations connected with the club and the local community. If your customer demographic is within the ground attending a fixture or using our facilities during the week, then we have a number of options for you. From pitchside, perimeter advertising and digital signage we are able to offer a number of highly visible branding opportunities that leave a lasting impression with all who see them. These are ideal if you are looking to reach not only the stadium audience but also gain regional, and possibly national exposure through press and television audiences in high profile games. Official matchday programmes are an ideal vehicle to promote products or services to fans attending a fixture. Programme are sold on matchdays to fans at Heritage Park as well as being given to all hospitality guests. Advertising can be arranged on a seasonal or match-by-match basis, or we can offer a bespoke advertising package to support wider promotional strategy. Full and half-page options are available and your artwork can be changed on a regular basis to maximise promotional campaigns. Advertisers will need to provide the copy for the advertisement. In addition to traditional advertising, matchday takeovers generate the kind of exposure needed to launch a new product or send a message direct to your target market. Working in conjunction with you, we are happy to create an environment that really allows businesses to showcase and promote their products and services to target audiences in a unique and engaging way. Matchday takeovers put you in control of the big match build up. Demonstration stands, car park space and function room areas can be maximised to attract interest and leave a positive memory of your product or services to fans attending matches at Heritage Park. Sponsor a home game and invite up to 10 guests to attend the game. A pre-match meal will be served with a selection of alcoholic and non alcoholic drinks available. Your name / company name will be publicised in the days preceding the game on our website, on social media as well as being included in the match day programme which will be available for you and your guests. You will be able to watch the game in the comfort of one of our private areas inside our function room and seats outside in the main stand can be reserved if requested. We would welcome the opportunity to discuss your requirements. Sponsor a home game match ball. Your name / company name will be publicised on the day of the match on our website and on social media and will be included in the match day programme. 2 complimentary tickets for that game along with a match day programme will be issued. Would you like to see your son or daughter join our captain in leading the teams out at Heritage Park? Contact the Club and we will make it happen! Your son or daughter’s name along with a picture (if you approve) will be included in the match day programme and 2 complimentary tickets and a match day programme will be issued. Sponsor a players home or away kit for £50 plus VAT or both home and away for £80 plus VAT, in return your name will appear in both the programme and on the website. Club partnerships represent genuine relationships of mutual benefit. We work in collaboration with our partners to deliver key services. For a full list of partners please click here. Club partnerships provide opportunities for both parties to leverage real value across wide-ranging business disciplines and we would welcome the opportunity to discuss such partnership opportunities further with any interested parties.